Disclaimer: This app does not add Fingerprint security to other apps, it helps import and secure messages from third party messengers. 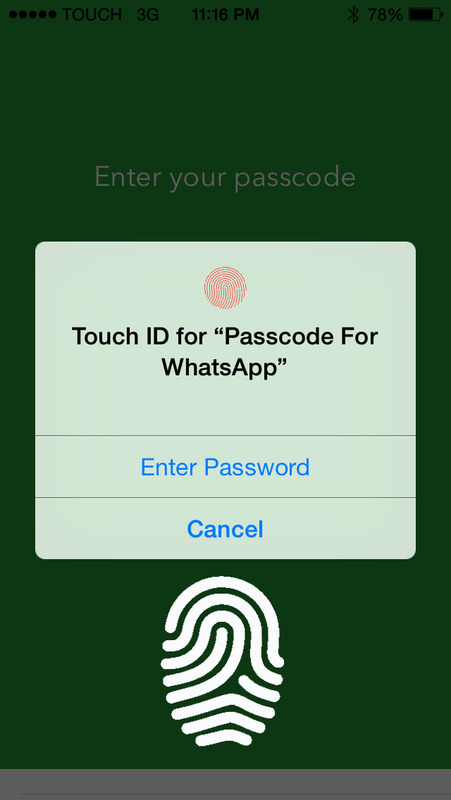 – Email then secure your messages and photos from WhatsApp with password and Touch ID. Make sure that ONLY YOU can access your imported WhatsApp messages, Pictures, and Audio on your iPod touch and your iPhone, by adding a secure Fingerprint access to it. You can choose which message(s) are more private than others, and decide which one(s) you would like to protect with a secure Password/TouchID by following all the required import steps within this app. You can SYNC all, or specific WhatsApp messages with our unique Sync system. Our user experience will make sure that Syncing is a breeze with a super easy-to-use interface. You will see that importing and protecting your WhatsApp messages and conversations has never been simpler. 100 PICS Puzzles - The BIGGEST free jigsaw puzzle game EVER!